B&A Custom Painting General Contractor is a professional interior and exterior contractor. We can do projects ranging from large exterior contracts to small interior jobs. We offer free estimates, for all house painting projects, and stand by our work with a written guarantee. At B&A Custom Painting General Contractor we put quality and customer service first. Our highly trained and experienced painters are dedicated to making sure that you, the Customer, are completely satisfied and happy with your home or commercial project. 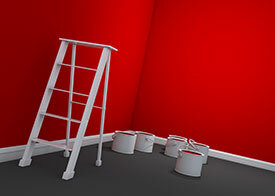 Our crew of painters go through extensive training to be professional, energetic, and courteous. Our past clients have been very satisfied with our results and the positive attitude that our painters display in getting the job done right. B&A Custom Painting General Contractor is a fully licensed and insured home painting and general contractor. We served Maryland and Washington DC Metropolitan areas. 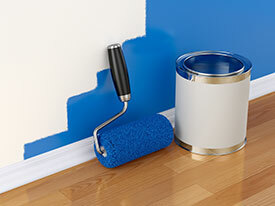 Our crew of painters go through extensive training to be professional, energetic, and courteous. Our past clients have been very satistifed with our results and positive attitude that our painters display in getting the job done right. We put quality and customer service first. Our highly trained and experienced painters are dedicated to making sure that you, the Customer, are completely satisfied and happy with your home project.